Day two of speculating on what will happen in Avengers: Age of Ultron is here, my readers! If you read my post the other day, then you know some of my thoughts about what may happen in the upcoming Avengers sequel. But you do not know about all of my ideas. As I stated before, if you do not want to hear anything about the film until it hits theaters, then stop reading right here. For those of you who, like me, cannot keep a lid on your curiosity, read on! My Theory, # 2: Hawkeye will be the Avenger who recruits the Scarlet Witch and Quicksilver into the team’s ranks. This is an instinctive idea I have had since I learned that the twins would not only not begin the film as Avengers, they apparently HATE the team’s collective guts. Why the twins hate the Avengers no one but Marvel, the cast, and Joss Whedon know as yet. Some suggest Quicksilver and Scarlet Witch are both being directed by Baron von Strucker through the power of Loki’s scepter, the same way that Hawkeye was controlled by Loki in the first Avengers movie. I am skeptical of this idea; I am not sure Strucker would be able to influence the twins via the scepter’s power. That he used the energy stored in the scepter to “mutate” the twins and give them their new abilities I do not doubt. But giving them superpowers is a far cry from controlling them in the same way that Loki was able to convince people to do his bidding. Loki knew what he was doing up to a certain point but Strucker is playing with fire; he has had no one to teach him how to use the scepter. Presumably, Thanos or the Other gave Loki instructions on how to use his “magic wand” the way he did in the first film. Strucker does not have any such guidance; he is essentially whistling in the dark. If Strucker is controlling the siblings, I think it more likely that he is doing so the old fashioned way. He has somehow convinced Quicksilver and Scarlet Witch that the Avengers are greedy warmongers (or something like that) who do not care about the collateral damage they leave in their wake. Considering the trailer for Age of Ultron starts in a post-battle party setting, I would say the Avengers probably have become a little complacent with the way life has been going for them recently. Such a party would certainly not make the twins think very highly of the Avengers, since Pietro and Wanda both grew up on their own, relying on no one but each other and trusting very few of the people they met – Baron Strucker being the possible exception to the rule. Part of the reason I think Hawkeye may be the Avenger who changes the twins’ perspective of the team is that the rest of the Avengers are going to have their hands full. With the Hulk going on a rampage that Tony (and, it seems, Black Widow) are trying to stop and Thor fighting Cap over who is more worthy to pick up Mjolnir, about the only Avenger who does not appear to have a crisis blowing up in his face during the course of the film is Hawkeye. More to the point, if Wanda is responsible for the berserk behavior of the Hulk and Thor, she may also be manipulating the other Avengers. Playing off their fears and making them see things which are not actually happening, she could easily reduce the team to squabbling, convince them to fight the people they are trying to protect, or bring them all to an absolute stand still. It is this very ability of Wanda’s that might give Hawkeye a fighting edge against her. After all, Loki took control of Barton in the first movie via the power of his “glow stick of destiny.” And Wanda has received her powers from the same source. For all we know, exposure to the scepter’s power may have given Hawkeye a resistance to mind manipulation, if not outright immunity to Wanda’s hypnotic ability since that seems to be fueled by the same energy Loki used to control him. If she cannot influence Clint and make him see what she wants him to see, then she cannot control him. And that means that he can at the least talk to her, if not get in close and fight her. Despite never winning the Scarlet Witch’s heart, Hawkeye and Wanda remained on friendly terms for a very long time over their years as teammates. He even helped Cap train her in hand-to-hand fighting techniques. (Hawkeye is one of the best hand-to-hand fighters in the Marvel Universe; even Marvel master martial arts expert Iron Fist thinks he is one of the best martial arts fighters around.) If anyone can get through to Wanda that she and her brother are being played for fools by Strucker, I would be willing to bet it would be Hawkeye. As for him talking Quicksilver into the Avengers, if Hawkeye’s silver tongue can persuade Wanda to change sides, then he has no need to speak to Pietro. The number one influence on Pietro’s life is his sister; wherever she decides to go, he will follow her, and vice versa. Sway one twin and you sway them both; if Hawkeye wins over Wanda then Pietro will follow her lead. The only evidence I have to support this gut feeling/theory is a photo from the Age of Ultron set. It shows Wanda crouching down, both her arms thrown out before her and crossed, her fingers half pulled in toward her palms. She is obviously using her powers to do something and is concentrating on doing it. Standing barely two feet in front of her, bow drawn, is Hawkeye. But he is not aiming at Wanda and is standing out of her line of fire. His bow is held in such a way as he reaches for his quiver that you can see he is lining up for a shot over Wanda’s shoulder. The two are clearly working together to protect and help each other in the middle of some big battle, probably the final battle of the movie. If that does not flatly imply a friendship springing up between Hawkeye and the Scarlet Witch in Age of Ultron, then I do not know what does. Rumor 3: Death, death, and… death. 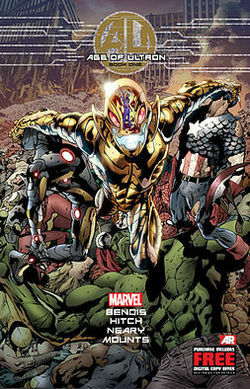 Long ago, Joss Whedon stated that “death would play a part” in the Age of Ultron storyline. I think Thor, Cap, Iron Man, and the Hulk are not likely to be killed off. Thor and Cap still have a future solo movie each in the pipes and there is talk of an Iron Man 4 and a Hulk movie at some point in the near future. Black Widow is the only leading lady Marvel has introduced in the Avengers’ franchise so far, and I doubt that she will be going anywhere anytime soon. I also doubt that Whedon would introduce the twins just so that he could kill them off. I have heard some say that Wanda is going to get the axe in the film, but I do not think Whedon would kill her now. He has barely introduced her – wiping her off the slate at the same time he adds her to it makes no sense at all. Quicksilver would likely also be allowed to keep his head for the same reason. This leaves the two characters that have yet to truly get their time in the spotlight in the Marvel Cinematic Universe as potential “deaders”: Hawkeye and Rhodey. 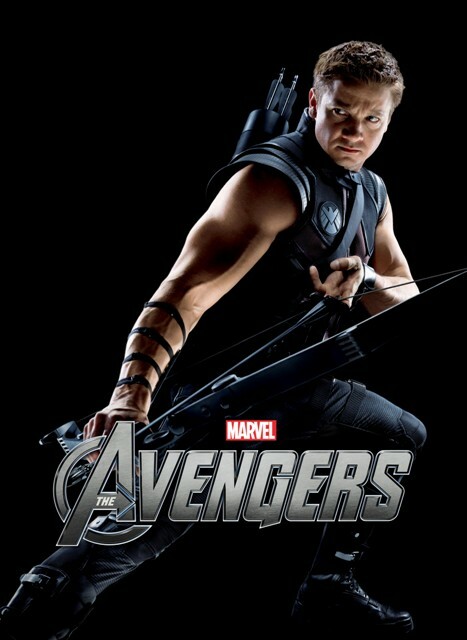 Honestly, I am not sure there is anything that would prevent Hawkeye from being killed off in this film. Although Whedon has stated that he had fun writing for Hawkeye this time around, I am sure he would have fun whether the archer lived or died. Sorry, Hawkeye fans, but we might all have to say good-bye to the World’s Greatest Marksman in Age of Ultron. Fingers crossed that he will make it through, but we have practically no assurances of whether he will live or die. Rhodey might be a potential “deader” for Age of Ultron, but I doubt it. If Marvel wants to continue its Iron Man franchise, Rhodey will have to stick around for a while yet. That might be wishful thinking on my part – either of these characters could be slated for death, or any Avenger could be killed – what fan knows what Joss Whedon’s got planned? However, the Avenger I think could be easily killed off and then brought back – I am not sure Marvel would let Whedon kill an Avenger if they could not be resurrected again for future films – would be Vision. As a synthezoid/android, ol’ Viz could be killed defeating Ultron, then repaired and “brought back to life” by Tony and Bruce (or just Tony, we do not know what the team’s roster will look like after this film). On top of this, we have been told that all the actors are “locked up” for Avengers 3. While that is not necessarily assurance that none of them will die (they could show up for five minutes in a cameo, after all), it is the only comfort we fans can really draw on at the moment. As with everything else I have contemplated here, though, we will have to wait and see. Rumor 4: Tony’s terrifying vision at the end of the trailer. Now to that vision Tony has at the end of the trailer Marvel previewed at Comic Con. In the trailer, Tony apparently wakes up – unarmored, wearing his regular clothes – on a rocky outcrop somewhere out in space. He gets up, takes a few steps forward, then falls to his knees next to Cap’s shield, which is broken in two. He starts to get choked up as the camera pans out to reveal Steve and the other Avengers dead in a place some believe to be Thanos’ lair. I do not for a minute buy that the whole team (with the exception of Tony) dies and gets brought back in the course of Age of Ultron. It is a possibility, but an unlikely one. I think/hope. However, that this vision could be the nightmare which spurs Tony to build Ultron, or a hallucination fabricated by Wanda at some point in the film – that I think very likely indeed. There is also a third possibility. In some early interviews, as I understand things, Elizabeth Olsen was said to have stated that Wanda can catch glimpses of the past, parallel universes, and the future. What Tony sees might be a vision Wanda somehow transmits to him: a possible future in which his team and friends lie dead at his feet. Or it could be a vision Wanda experiences herself at some point in the film and shows to Tony. A snag in this theory, though, is that the list of dead Avengers is vague. I know Thor and Cap are said to be among the dead, but if the twins are not present with them and the others then the vision could be a hallucination Wanda generates for Tony. Certainly, during Age of Ultron, his greatest fear would be that he will inadvertently cause his friends’ deaths in having built Ultron. 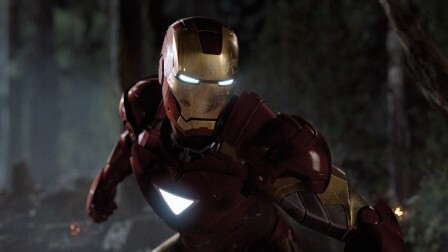 That the very thing he designed to help his team so that they could get some R&R then goes and kills them – this would be a fear Tony could end up dealing with in the film. And if Wanda can invent hallucinations using her enemies’ greatest fears, then this vision of defeat would be an image with which she could beguile and antagonize Tony. I will close with one final question for you, my readers. 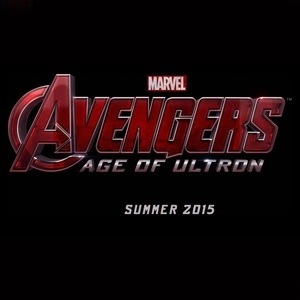 Does anyone know where I can find footage of the Age of Ultron trailer that was previewed at Comic Con this July? I would sure like to see it!!! This entry was posted in Ask a Silly Question..., Marvel Comics' Characters and Stories and tagged A.I., Avengers: Age of Ultron, Chris Evans, Chris Hemsworth, Cobie Smulders, Idris Elba, Jeremy Renner, Joss Whedon, Mark Ruffalo, Marvel Comics' Characters and Stories, Paul Bettany, Predictions, Robert Downey Jr., Samuel L. Jackson, Scarlett Johansson, The Avengers, Tom Hiddleston on August 2, 2014 by The Mithril Guardian. If you, like me, had the pleasure of watching Marvel’s The Avengers when it came out in theaters in 2012 then you are probably as eager as I am to see the upcoming sequel to the film. 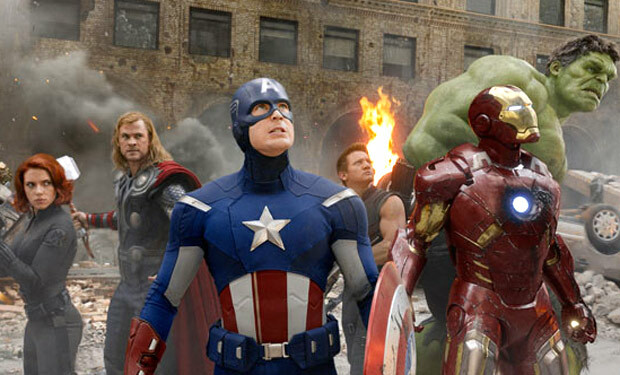 Scheduled to hit American theaters May 1, 2015, Avengers: Age of Ultron will bring the entire cast of the first film back – with some new arrivals to spice up the story. These new characters will be Avengers Quicksilver, Scarlet Witch, and Vision. The lead villain of the film is the fella whose name comes after the Avengers’ in the title: Ultron, the adapting, self-teaching android from the comics who is determined to wipe out humanity in order to save us from ourselves. Since Ultron actually stands higher on my “I HATE this guy!” list than Loki does, I am hoping he will get pancaked in the upcoming movie. Whether or not it will be a permanent cooking heaven only knows, but I can cross my fingers that it will be. Anyway, I was at first determined to wait and let the sequel Avengers film surprise me. But one thing led to another and here I am: sitting down studying bits of leaked information on the sequel and choking with laughter (or disgust) over some of the rumors surrounding it. The spirit is willing, but the flesh is weak. Several theories spring to my mind over the news and rumors I have heard about the film since I began keeping my finger on the pulse of news (or lack thereof) coming from Marvel about Avengers 2. I thought I would posit some of those ideas here in this post. Now, if you are a stronger-willed fan than I am and are determined not to read anything about the movie until a few weeks from its release, you should probably stop reading right about here. If you are one of those curious people who just has to have something to mull over until the movie hits theaters, or if you are one of those people who was fortunate enough to see the trailer Marvel previewed at the San Diego Comic Con this July, then read on, fellow True Believer! Let’s theorize and speculate, shall we? 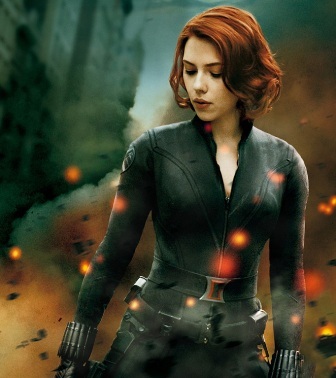 Rumor 1: Black Widow and Bruce Banner will be an item in Avengers: Age of Ultron. As soon as I read of this rumor, I had to fight my gag reflex. Who in the world would make Black Widow and Bruce Banner a couple?!? Are you out of your mind, rumor monger?!? Quite frankly, I do not see how such a match up could possibly work. That Joss Whedon might – MIGHT – decide to put Natasha and Bruce together is certainly an option, but I do not know of any precedent for it. The two characters have never been anything more than friends in the comics, as far as this reader/writer is aware. Some say, however, that there is ‘proof’ for this rumor. This ‘proof’ is a scene in the Age of Ultron trailer where Widow, scared and sad, is once again at the Hulk’s mercy. Barely managing to stop his rampage, the Hulk apparently has one huge fist very close to a shaken Black Widow. In an attempt to cut through his rage to help Bruce calm down so he can gain control the Hulk, Widow reaches out and gently runs her hand over the Hulk’s giant, trembling fist. This sounds more like a sad moment between friends than the whiff of romance to me. There is a fifty-fifty chance that Natasha and Bruce will actually be an item in Age of Ultron, but I am inclined to doubt that. First, the two characters are polar opposites. Second, Bruce already has a love of his life: Betty Ross. Ruffalo has recently stirred up hype by saying Marvel is considering a new Hulk film; if such a film were ever to be made, one of the characters in it should be Betty Ross. I do not see Marvel sweeping Betty aside to replace her with Natasha because she has been his love interest since his debut in the comics. It is possible that they would do this, but it seems unlikely from where I sit. The only way to know for sure, of course, is to watch the movie when it hits theaters next year. Rumor 2: Thor chokes Captain America. This scene requires a little more conjecture than the first one, obviously. It also demands some background information. Thor gamely puts the hammer on a table and lets his teammates have a go at lifting Mjolnir. I do not know if Hawkeye took a turn at hefting it – it sounds as though that was what he was aiming to try and do when he began nagging Thor about the weapon’s enchantment – but I have heard that Tony, Rhodey (yes, he will be in Age of Ultron), and Bruce each took a turn at lifting the hammer. None of the three men manage to so much as budge the hammer. Even with the help of an Iron Gauntlet each, Tony and Rhodey are forced to admit defeat. Widow declines to try and lift Mjolnir, adding self-deprecatingly that she knows she is not worthy to pick it up and is likely the least worthy person in the room. That is when Steve takes a turn – and manages to move the hammer a little. This means that, as long as someone is worthy, they can pick up Mjolnir any time they want to and swing it with all Thor’s power. And the Avenger most worthy of wielding Mjolnir after Thor is, unsurprisingly, Steve Rogers. Now this is my theory on the scene where Thor is seemingly trying to strangle Cap: Remembering this incident in the Tower, if Thor thought that Cap was trying to take Mjolnir from him, he would be desperate to stop him. Mjolnir is the source of Thor’s power and his best weapon; if he loses his ability to lift his hammer now, then he is in a worse spot than when Odin dropped him in New Mexico. Cap, of course, would never steal so much as a paperclip from someone he considered a friend. And there is no way that Steve did not know he had managed to shift Mjolnir. But since he considers Thor an ally and a friend, he would not take Mjolnir from him because the hammer is not his. He simply answered Thor’s challenge and proved that, yes, he can wield Mjolnir. That, however, is all he did and all he intended to do, beyond perhaps satisfying his own curiosity about how worthy a man he actually is. Much like Sir Galahad of old, Cap is the best knight that was or will be; he can sit in the Siege Perilous as easily as he could lift Thor’s hammer. Thor may not see things this way, having become so accustomed to the idea that he alone is worthy to wield Mjolnir’s power. The sight of Captain America, a man he considers a great friend and whom he deeply respects, moving his hammer is enough to terrify him. Letting this fear weigh on his mind makes Thor vulnerable in the worst kind of way: he is no longer focusing on his enemies but on his friends, and he is starting to become jealous of the latter. 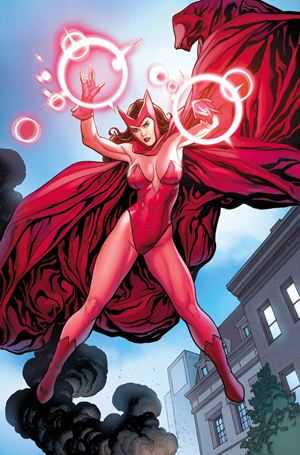 This would be something the Scarlet Witch – who is said to be able to hypnotize people in the film (Joss Whedon has stated that she can “get inside your head”) – could play on to great effect. If she could somehow trick Thor into believing that Cap was trying to steal Mjolnir from him, then Thor would attack Cap in order to protect his power. That is my theory about this choking scene which someone said was in the trailer. Since I have not yet seen the trailer, I do not know if the scene was actually in the footage shown. But if it was, then this is the only logical hypothesis I have to explain why Thor would try to kill Cap – although an argument could be made that Wanda somehow convinced Thor that Cap was Loki in disguise, since Loki pulled that trick back in The Dark World in an attempt to get under Thor’s skin. We will have to wait and see what happens. My Theory, #1: Scarlet Witch will convince the Hulk to attack Tony Stark in the Hulkbuster armor. 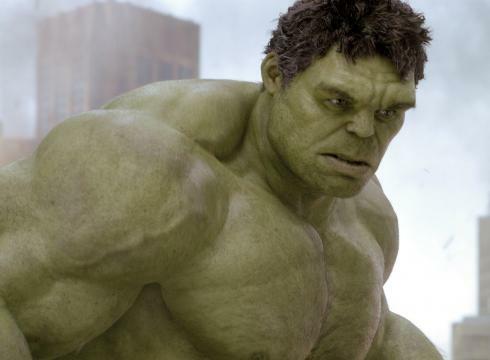 In the first Avengers film, Banner proved he has some control over the Hulk. It takes something pretty drastic to make him release Marvel’s not-so-jolly-Green Giant in an unplanned manner. Yet footage of this film is said to show him Hulking out fairly frequently; it even shows him going head to head with Tony while the billionaire is shrugging on his Hulkbuster armor. Unfortunately, as the most easily upset member of the Avengers, Banner is the one who could be quickly pressured into causing the most harm. Some are suggesting the Scarlet Witch would be the person most likely to provoke the Hulk by using her hypnotic abilities. If she could make him think there was a dire enough threat occurring before him, then Banner would certainly allow the Hulk to step onto the scene to stop the catastrophe. Of course, once he is out of the bottle, Ol’ Green is not very eager to go back inside. Wanda could throw impossible scenario after impossible scenario at the Hulk and, infuriated by the changing threats that disappeared when he tried to attack them, Hulk would start smashing everything in sight. Banner would not be able to stop him because he could no more tell up from down or left from right than the Hulk could; they share the same eyes, after all. If Bruce has been hanging out with Tony since the first Avengers film, as the end of Iron Man 3 suggested, odds are he was not sitting idle while he was crashing at Tony’s place. And, ever the pragmatist when it comes to “The Other Guy,” Bruce might have helped Tony design and build his Hulkbuster suit, just in case he ever lost control and the Hulk had to be stopped by force. This would explain, to me, the fight between Tony and the Hulk which fans have been anticipating since Marvel let slip that the Hulkbuster armor would be in Age of Ultron. Sent into a rage, perhaps through Wanda’s manipulations, the Hulk barrels around a city and Tony suits up to at least slow him down and possibly make him revert back to Bruce. I for one am not willing to believe that Tony’s first instinct would be to kill the Hulk, since he and Bruce struck up a very strong friendship in the first Avengers film – a friendship that seems to have grown over the course of time since that movie. Again, we are going to have to see Age of Ultron before we know which theory is right and which theory is wrong. Wow, that was a lot of theorizing, wasn’t it? I think for brevity’s sake it might be better if I stopped here and picked up again tomorrow. If you want to hear more of my ideas about what might happen in Avengers: Age of Ultron, then come on back tomorrow for part two of Prognostications for Marvel’s Avengers: Age of Ultron. This entry was posted in Ask a Silly Question..., Marvel Comics' Characters and Stories and tagged Joss Whedon, Marvel Comics' Characters and Stories, Predictions, The Avengers: Age of Ultron on August 1, 2014 by The Mithril Guardian.